iOS 8/8.1 users having difficulty using the jailbreaking process with Pangu in Chinese are in for good news today. Team Pangu updated has updated Pangu8 for Windows today, and the updates features several new features. Before we get to the tutorial on how to use Pangu v8 for your iOS device, lets take a look first at what changes this latest update of Pangu has to offer us. Firstly, and most importantly, Cydia now comes bundled with Pangu8 so now you don’t have to install the store manually on your device. Bundle latest Cydia for iOS 8. Fix an issue that may cause MobileSafari to crash on 64bit devices. Fix an issue that causes iMessage/SMS to fail to send images. Respring is not required anymore to make Substrate working. Pangu APP now with some useful functions. The process for jailbreaking your device remains virtually the same as before. We’ve covered a complete step by tutorial on how to jailbreak iOS 8/8.1 before, but there are a couple of precautions that you need to keep in mind before tinkering around with your device’s software. First of all Over the air iOS updates won’t work with the jailbreaking process. To jailbreak iOS 8/8.1 on your device using Pangu, you’re going to restore your device to iOS 8.1 using iTunes. After you’re done restoring, you need to make sure that you’re running iTunes 12.0.1 or later on your PC for the process to work. Also make sure to turn off any passcodes or lock screen codes that you might have on your device before the jailbreaking process starts. Airplane mode also needs to be turned on with iTunes running in the background throughout the entire process. And finally, make sure to back your device up using either iCloud or Wi fi before you start. The rest of the process can be seen in the link below. Just keep in mind that Pangu comes bundled with Cydia so you won’t have to install Cydia manually. 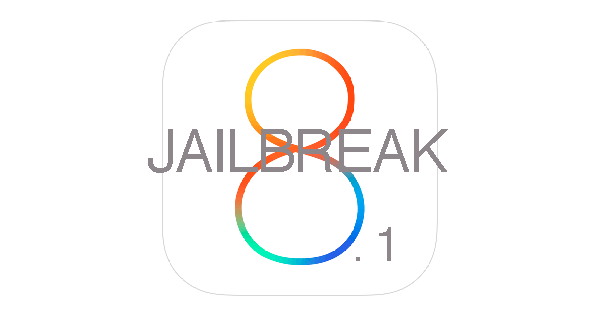 Tutorial: How to jailbreak your iOS 8/8.1 device using Pangu v8 1.1.0.